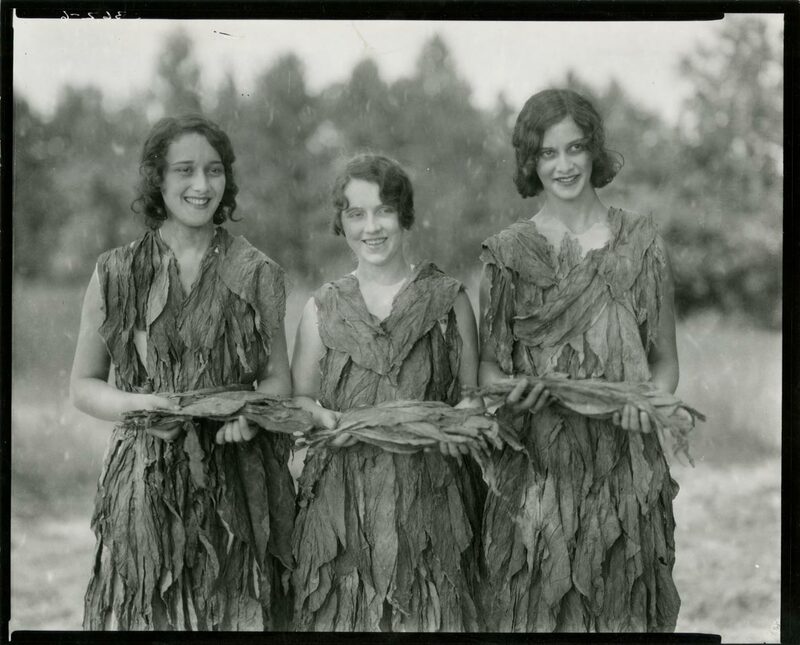 Accomack County (Va.) Census of Tobacco Plants, 1725, 1728-1729, consists of three lists of tobacco plants created to comply with the Tobacco Acts. 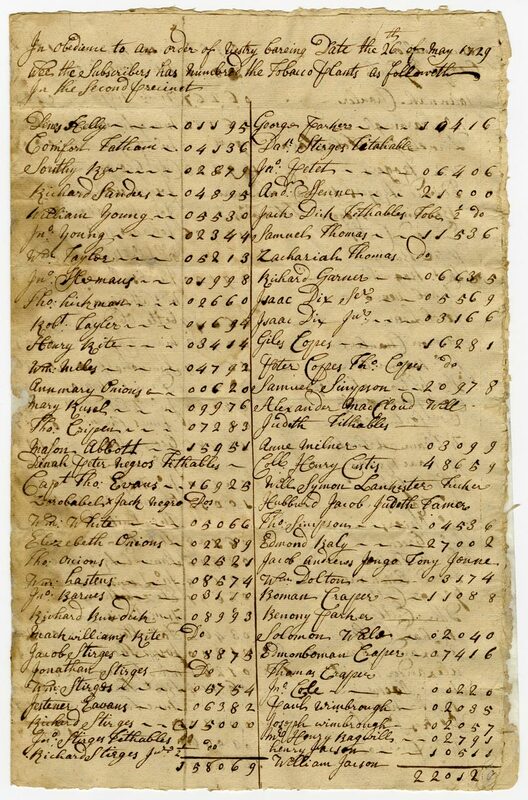 The 1725 list records the names of tithable persons, half shares, and the number of tobacco plants grown. The precinct is not given although the counters state that this list was drawn up at the order of the vestry at the MiddleChurch. 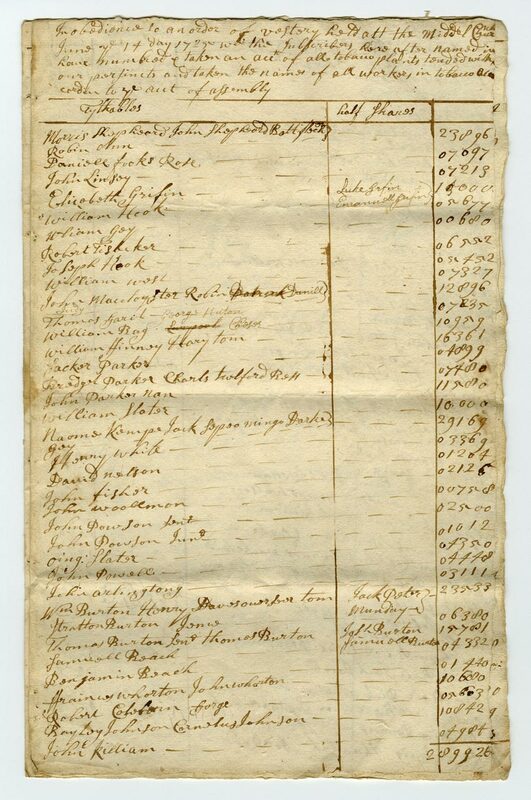 The 1728 list records the names of all tithable persons and how many plants they were growing along with the number of plots or plantations in which the crop was being grown. Slave names are given along with their owners. A total of the number of plants in the county is given at the end of the list. The 1729 list is for the second precinct and records the same information as the 1728 list although without the land information. Accomack County (Va.) Census of Tobacco Plants, 1725, p. 1. Accomack County (Va.) Census of Tobacco Plants, 1729, p. 1. 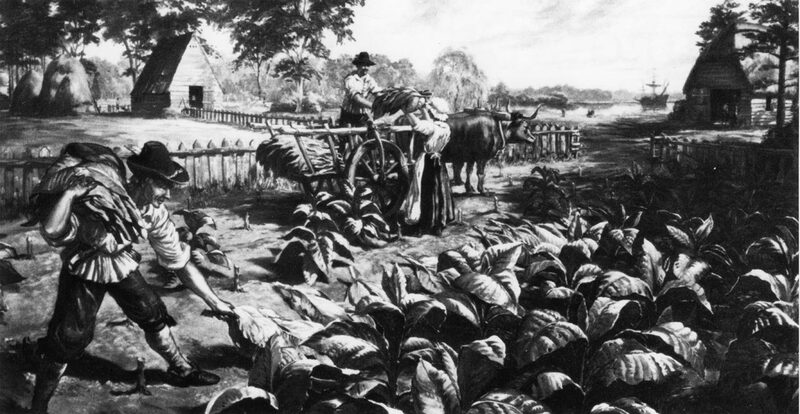 The 1723 and 1729 Tobacco Acts led to the passing of the Virginia Tobacco Inspection Act of 1730 that transformed the tobacco trade by regulating the quality of tobacco exports which created increased revenues for Virginia planters. The Cash Crop. Image from South Boston, Va., 1929. Virginia Chamber of Commerce Collection, Special Collections, Library of Virginia. The Accomack County (Va.) Census of Tobacco Plants, 1725, 1728-1729 (Barcode 1204975) is open for research and available at the Library of Virginia. Census images are courtesy of the Library of Virginia, Local Government Records Collection; for additional images see the original post at Out of the Box.